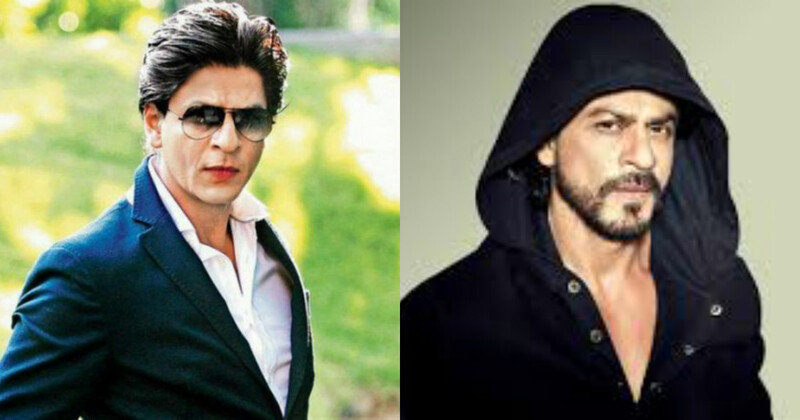 Shah Rukh Khan has been one of the most inspirational actors in the Bollywood industry. 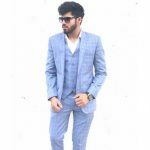 The story of his struggle for being an actor defines how he has managed to make it so big from just limited resources and with his complete hard work. He is also referred to as the ‘King of Bollywood’. 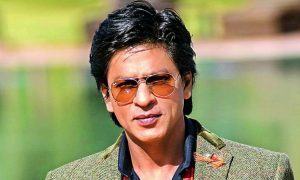 Shah Rukh Khan made his debut in the year 1992 and has done more than 80 films with many titles and awards. Let’s check out 10 Movies of Shahrukh Khan which clearly explain why he is the Baadshah of the Bollywood Industry. Dilwale Dulhaniya Le Jaayenge is a Bollywood romance film directed by Aditya Chopra and was produced by his father Yash Chopra which released in the year 1995.The story is based on two NRI’s Raj(Shahrukh Khan) and Simran(Kajol) who fall in love unexpectedly when they go for a vacation in Switzerland.The movie portrayed a great love story of Raj and Simran and involves the struggle which the two lovers had to witness because of Simran’s family.The movie was a superhit and one of the most successful and important movies in the career of Shahrukh Khan.The movie was globally loved by the critics and the audiences and received a great response in the theatres. Pardes is a Bollywood drama film directed by Subhash Ghai which released in the year 1997.This movie talks about the story of Arjun(Shahrukh Khan) and Ganga(Mahima Chaudhary).In the movie, Kishorila(Amrish Puri) who was a rich businessman settled in America comes to visit his friend Suraj(Alokh Nath)in India where he puts a proposal for his son Rajiv’s marriage with his daughter.Ganga agrees to the proposal of marriage and shifting to America.Arjun (Shahrukh Khan) then visits India to make the arrangements for the arrival of Rajiv where he starts getting feelings for Ganga.Eventually, Ganga also starts loving him back after she realizes that Arjun was perfect for him rather than Rajiv who faked his image.The movie was totally loved by the audiences and the critics and Shahrukh Khan were just fabulous on the screens with his romance. 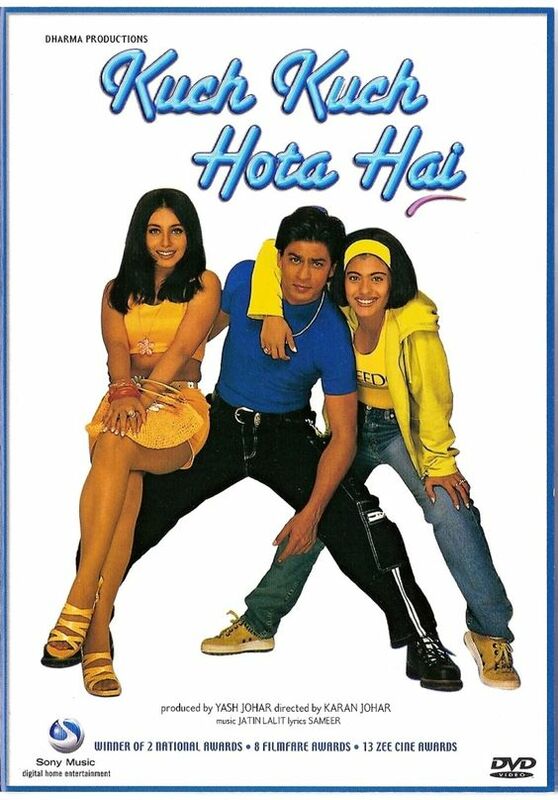 Kuch Kuch Hota Hai is a Bollywood comedy romantic drama film directed by Karan Johar which was produced by Yash Johar and Hiroo Johar.The film received a positive response from the critics and got very successful in India as well as in the foreign countries.The Jodi of Rahul(Shah Rukh Khan) and Anjali(Kajol) went on to be a superhit on the screens with an awesome drama into it.The story talks about the college friends Rahul and Anjali who were best friends.Anjali used to like Rahul at that time but the same was not the case with Rahul.Rahul got married to one of his other friends but the tragedy happened that she died after giving birth to a girl child who was also named Anjali. 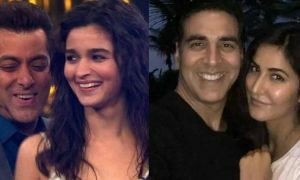 The movie talks about how they both again meet and fall in love in another phase of their life where also Anjali, the daughter of Rahul with his grandmother try to make them love again.The movie also features Salman Khan as the fiancé of Anjali(Kajol).The film went on to be a complete superhit. 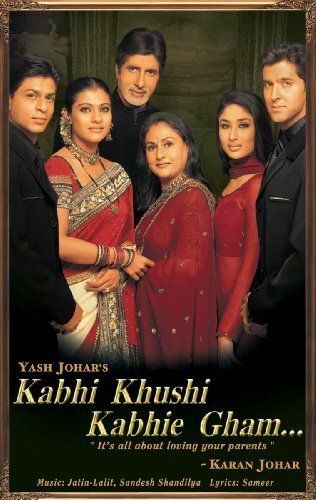 Kabhi Khushi Kabhi Gham is a Bollywood family drama romance based film directed by Karan Johar and produced by Yash Johar which was released in the year 2001.This movie was based on a complete family drama and romance. The movie received a super positive response from the critics and was one of the best movies Shah Rukh Khan could ever have done.The movie also features Kajol Devgn, Kareena Kapoor, Amitabh Bachchan and Hrithik Roshan. Shahrukh Khan and Hrithik Roshan played the roles of brothers in this movie. 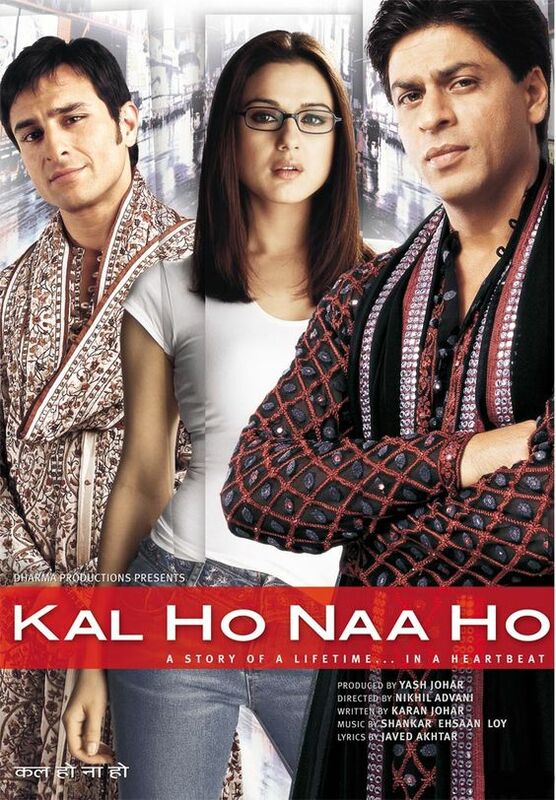 Rahul(Shah Rukh Khan) goes against the principles of his father by loving a girl of a lower class which makes Yash Raichand(Amitabh Bachchan) angry and he tells them to leave.The movie shows the love of a divided family and shows how they get reunited because of Roham(Hritik) and Pooja(Kareena). Kal Ho Na Ho is a Bollywood romantic drama film directed by Nikhil Advani and was produced by Yash Johar and Karan Johar.It was a brilliant movie with a lovely message of life in it. 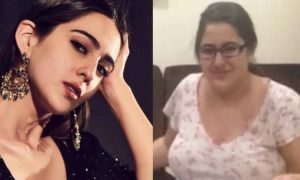 The features Shah Rukh Khan, Preity Zinta and Saif Ali Khan in the lead roles. The bond shown between the three of them in the movie was just inexplicably amazing. It highlights the fact that how life is uncertain and you don’t know what’s going to happen to you the next moment, you just have to live the moment now.The story focuses on living in the present as tomorrow may or may not exist. Shah Rukh Khan plays the character of Aman who enters like an angel and teaches the struggling family which also includes Preity Zinta as Naina in his neighborhood the reality of life with his practicality.The last part of the movie was quite emotional as Naina and Rohit(Saif) got to know that Aman would be dying soon because of his heart problemThe movie is full of humor, romance and drama and was a super hit on the screens. 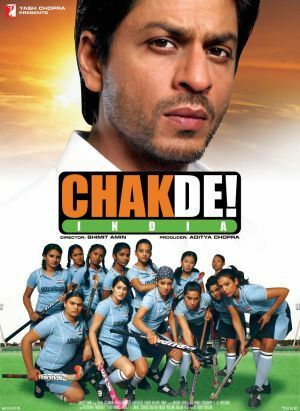 Chak De India is a Bollywood drama film directed by Shimit Amin and produced by Aditya Chopra.The movie revolves around a former hockey player Kabir Khan who was declared disloyal to his country when he could not a goal in a final tournament against Pakistan and ended losing up the match where India won silver instead of gold. To prove his loyalty to the country he decides to train the national hockey women’s team and claims to get a gold in the world championship for the country. The movie turned out to be very inspirational and highlighted the struggle of the coach and the team as well. Besides the struggle, they still work harder and ended up achieving a gold for the country.The performance of Shah Rukh Khan as a coach was completely loved by the audience. 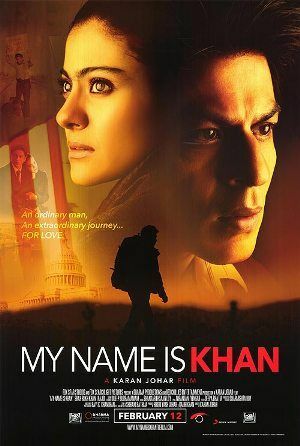 My Name is Khan was one of the best acts of Shah Rukh Khan.He is shown to be suffering from a syndrome called Asperger’s syndrome which is a disorder due to which he had a weird personality and which also affected his communication. Shahrukh Khan plays the role of Rizwan Khan in the movie and he amazed the critics and the audiences with his flawless acting skills.The audiences found one of the cutest actings on screen by Shah Rukh Khan in this movie.In the movie, Shah Rukh Khan tries to convey to the people of America that what actually Islam is and it does not teach or supports any of the terror act after his son died just because of his name related to Islam.The movie actually shows what humanity is and how it does not see any religion, caste, race or gender.The movie received a great response from the audiences and the critics and Shah Rukh Khan was loved across the globe. Swades is a Bollywood drama film directed by Ashutosh Gowariker and produced by Ashutosh Gowariker and Ronnie Screwvala.It was a really inspiring movie where Shah Rukh Khan plays the lead role of Mohan who works as a Project Manager on a program by NASA.He visits India for few weeks when he remembers his childhood days with Kaveri Amma.Shahrukh visits the village named Charanpur to meet Kaveri Amma.Mohan notices meanwhile how underdeveloped the country is while he was there and thus he takes initiative to change the scenario of the village.Mohan was a great character who definitely succeeds in inspiring the audiences with his social work and intelligence. 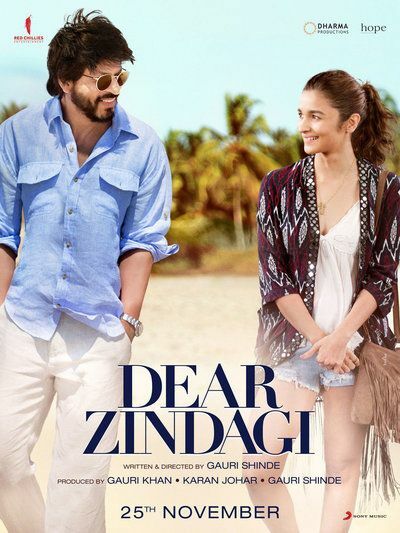 The movie was written and directed by Gauri Shinde and was released in the year 2016.The movie features Alia Bhatt and Shah Rukh Khan in the lead roles. 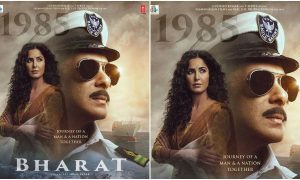 The character and the acting of Shah Ruk as a psychologist was a real superhit.The story totally defines life and gives the audience really beautiful thoughts and definition from the perspective of life. 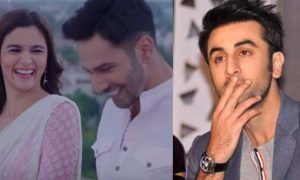 Shah Ruk Khan’s name in the movie was Dr.Jehangir Khan and the way he understands and treats the problem of Kaira(Alia Bhatt) was just amazing. 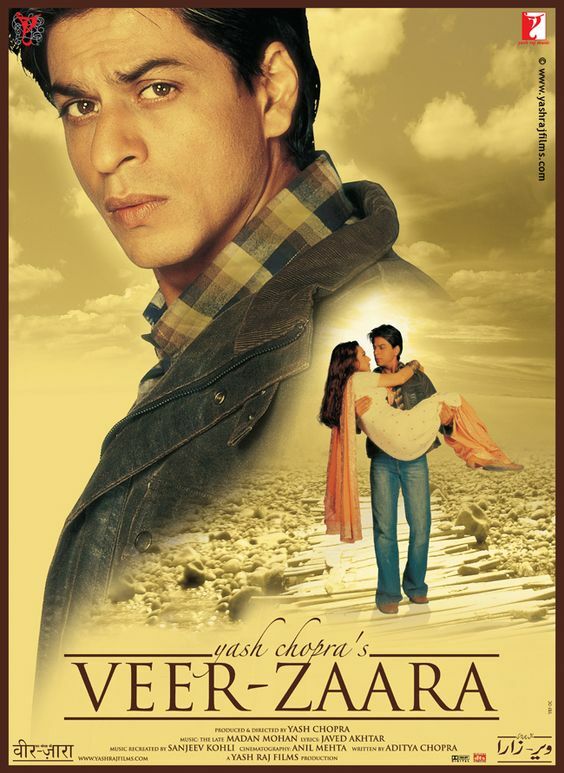 Veer Zara is a Bollywood drama romance film which was directed and co-produced by Yash Chopra with his son Aditya Chopra.The movie features Shah Rukh Khan and Preity Zinta in the lead roles.It was one of the best love stories which were of an Indian Airforce Pilot and a Pakistani girl Zaara. Veer (Shahrukh Khan) and Zaara(Preity Zinta) were shown to be struggling without each other as the boundaries of the two countries made their love story a difficult one. Eventually there turns out to be a happy ending and the movie was really appreciated by the critics and the audiences.